I’m not that much into shopping these days with the high bills of three kids, but it doesn’t mean I don’t love to look! 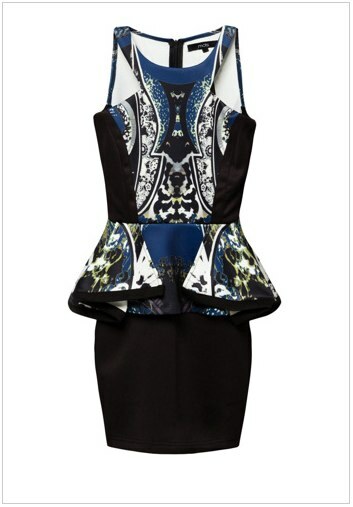 I’ve been figuring whether a peplum dress would be flattering for my (current lack of a) figure, but somehow haven’t gotten round to trying it yet. The unfortunate thing is, I bought a peplum dress before I got pregnant with Lisa, but then the pregnancy happened and the rest is history… I formerly had a tendency of spotting trends before they hit, and hopefully this knack won’t be leaving me anything soon? I love the lines and the colour contrast! 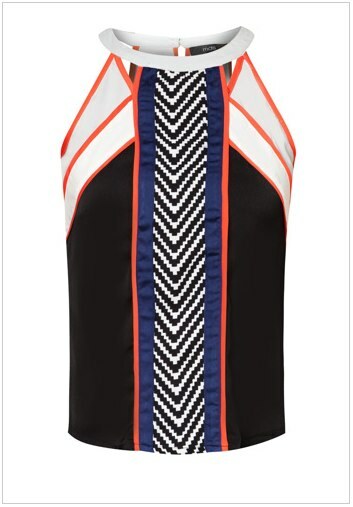 But this is something I would avoid until I can get my “chicken wings” under control… Also I’m not too sure how bust-flattering the top would be given its structured bodice, but I’m definitely attracted to the colour contrast and the pop of orange bias piping! Just through four pieces of clothing, you’ll come to realise why I would even think about making my own clothes! First off, my body shape is a tad weird, with armholes often being too big yet chest area being too snug – and it’s not even like I’m an F-cup or something… Secondly, I nitpick too much! Do you start to wonder what I actually wear day to day?